Home » Uncategorized » Looking to get involved in our community? Cleveland Leadership Center is a good place to start. Looking to get involved in our community? Cleveland Leadership Center is a good place to start. 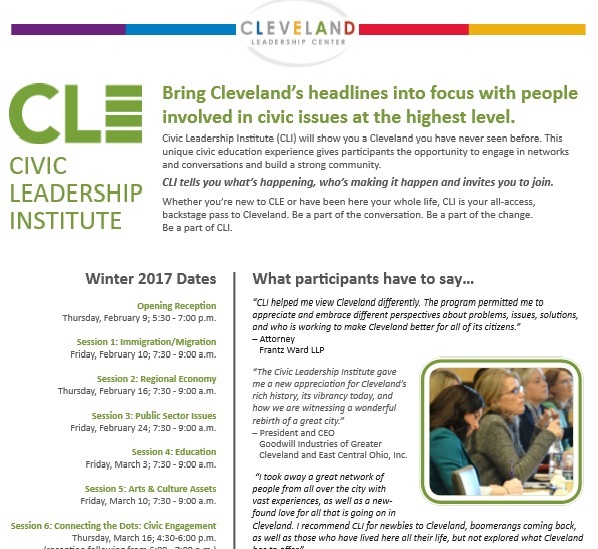 One of the best things I ever did was join the Cleveland Leadership Center‘s Civic Leadership Institute. The program is for those looking to become more engaged in the city, and it allows you to meet the people involved in civic issues at the highest level. The winter program starts next month, and if you want to become more involved, please start here. I’m so happy I did! Click on the image below or email me for more information.